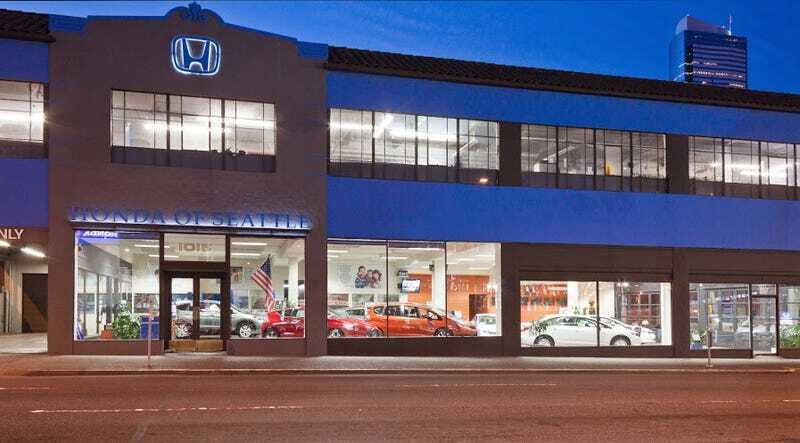 Brad Miller's Honda and Toyota stores in Seattle are attempting to radically change the car buying process by emulating Apple in their "One Buyer, One Price, One Hour" strategy. This should have been an instant success, but the reality was very different. According to Automotive News, last year Brad Miller and COO Babak Mohammadi decided to buck the traditional way of selling cars. The first major change was a no-haggle price and no-haggle financing. Of course this meant adjusting the pay rates for their employees. Commissions based on the price of the car and back end profits such as extended warranties and interest rate markups were gone. Miller and Mohammadi streamlined sales and F&I (Finance and Insurance) into one department. All of this was meant to get customers out the door quickly and give them a no-hassle buying experience. Miller got inspiration from the high-tech and low pressure environment of Apple stores. At his dealerships, customers aren't approached by the first salesperson with an "up," but rather an electronic kiosk with the names of all the staff and they pick who they would like to work with. Vehicle pricing and interest rates are not hidden behind the wall of "I have to talk to my manager." Customers know the price up-front and can examine a board with credit scores and interest rates, in order to chart what their payment would be. Given the frustrations many car buyers have with how dealerships operate this should have been a hit, but the price adjustments resulted in a mass exodus of staff. During the overall record sales year of 2014, sales at Miller's dealers fell from 100 units a month to 70. Despite some early roadblocks, sales have rebounded, and Miller has faith that his method is what customers want. "I'm sure everyone thought that I was absolutely out of my mind...Maybe I was, but this is the right thing to do. Sooner or later, everybody will have to sell cars this way." A recent Autotrader study revealed that car buying has to change, but not in the ways many of us imagine. According to the survey, car buyers, especially millennials, don't see a car buying process without salespeople and many car buyers still don't believe that "once price" dealerships are offering the best deal. This data goes against some popular belief that the Tesla model will eventually take over the industry. Only time will tell which can win.